3954 Alpaca Buckle Full Grain Leather Belt - 1 1/2" wide - Available in size 60"
Home > 3954 Alpaca Buckle Full Grain Leather Belt - 1 1/2" wide - Available in size 60"
Beltmaster.com Specialize in Men&apos;s & Women's Leather belts, casual belts, western belts, dress belts, jean belt, golf belts, leather belt straps, white belts, braided ... Great Men's selection, Quality and Price. Our customers can now buy quality men's & women's genuine leather belts directly from us. 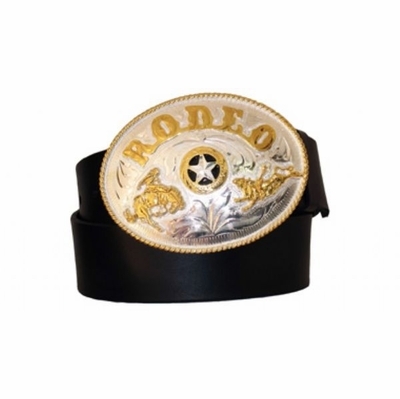 We have one of the broadest selections available anywhere for men's & women's belts. Available for shipping anywhere in the world! Buy men's & women's belts and save up to 50% off retail price. Custom sizes, odd sizes? We can make from kids sizes up to size 60" - Give us a call or send us an email to find out if the belt of your preference can be made in the size that you are looking for. 1 1/2" wide full grain leather casual jean belt, alpaca buckle silver and gold finish . A belt made of a single, solid piece of thick full-grain cowhide, in a timeless classic style.